Get ready for a new stealth action game with Past Cure from independent video game studio Phantom 8 Studio. 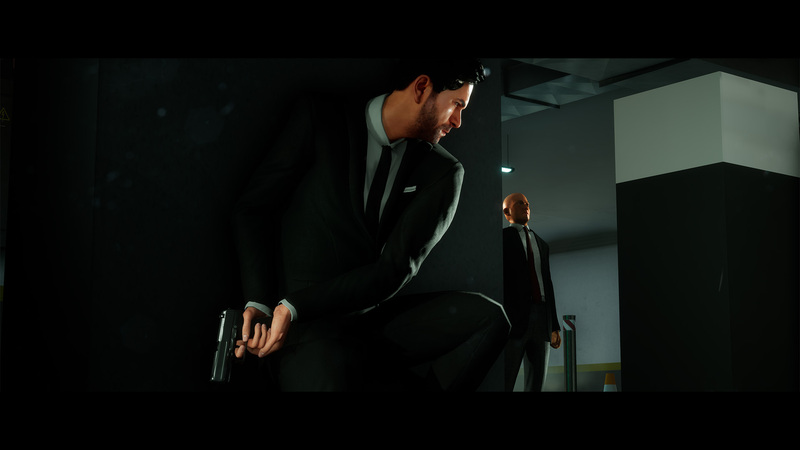 Not only does the third-person game has action and stealth, but also mind-tripping sequences. We had the chance to check out an E3 build, and it is shaping up to be an intense game for fans of the genre. In our hands-on demo, our main hero, Ian, tries to navigate through enemies, whether inside a parking garage or in a nightmare world. What caught my attention to Past Cure is the action, especially the close-quarters combat animation. They did have professional MMA fighters to help bring its visceral combat to life after all. The melee button will randomly generate physical attacks, like punches, kicks, Superman punch, or roundhouse kicks. Players will have the option of killing the enemies silently, and these will have a variety of stealth kill animations. Of course, you must exercise caution when dealing with enemies in a certain way. Calling attention to yourself with tough enemies is a sure way to get you into some deep trouble. Ian has special skills including the slow motion and mind fly. With mind fly, you can leave your body to investigate enemy locations by flying around or disable camera systems. Each area in the game has its own gameplay style, and as of now, it contains a total of 11 levels. Indie developer Phantom 8 will be releasing Past Cure for the PC, PlayStation 4, and Xbox One, in Q4 2017. It will retail for $29.99. Synopsis: After his years of being tortured in dark prisons across Europe, ex-elite soldier Ian lives in the safehouse of his brother, struggling with the consequences of the military experiments he was put through. They twisted his mind, imbued him with preternatural mental abilities such as time control and telekinesis, and fractured his grip on reality. Driven by hallucinations and his thirst for revenge, Ian enlists his brother’s help as he sets out on a thrilling hunt for the perpetrators of the conspiracy against him, and for the truth underlying his torment. On his missions Ian experiments with his new powers, quickly coming to realize their inherent danger: with each use, his sanity frays a little more, inviting the nightmarish attention of something beyond reality. In pursuit of the men behind his imprisonment, Ian soon realizes that his true enemy may be hiding within his madness.